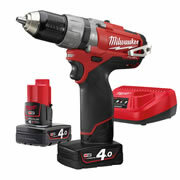 Cordless drill drivers are the meat and potatoes of a tradesman’s power tool collection and with all the options available, it pays to get the right one. 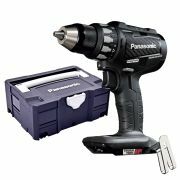 Drilling holes and driving screws are what they’re all about and with a vast array of brands such as Dewalt, Fein, Festool, Makita, Milwaukee and Panasonic all represented, there’s tons of choice. 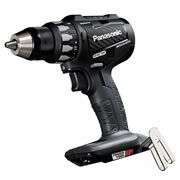 ITS is proud to say that 99% of items listed are in stock and that we have an enormously knowledgeable team, ready to guide you into buying the right cordless drill driver for you and your needs. 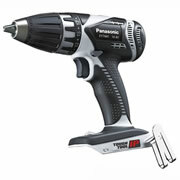 Do I need a drill driver? Pretty much, yes! 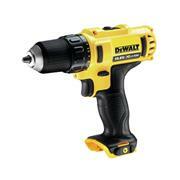 Drill drivers are great all-round power tools so it’d be surprising if tradesmen of any merit didn’t have one. 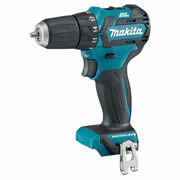 With the various types of bits available, drill drivers’ flexibility is the key to its success and as such, carpenters, joiners, electricians, general builders, plumbers all have uses for them. 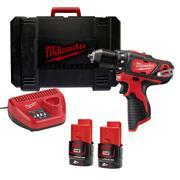 Holding a 2-in-1 tool instead of owning 2 separates is always going to save you time, money and space in the tool box! 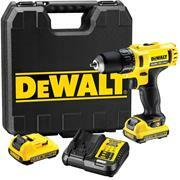 What are the benefits of a drill driver? 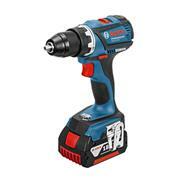 Why would I have cordless drill driver instead of corded? 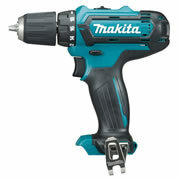 For ease of use, especially in terms of mobility, going for a cordless drill driver is a must in the modern work site or workshop. Without the annoyance of being tied to a power source, you eliminate cables and free yourself up to go anywhere whenever you like. 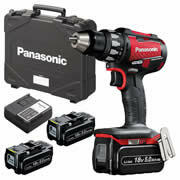 Since the advent of cordless tools, the worry for tradesmen has always been the runtime and charging of batteries but with the development of Lithium-ion batteries, a lot of fears have been calmed and a large amount of people have moved over to cordless. 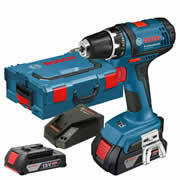 Drills were the first power tool to be adapted into a cordless state and it’s easy to see why. 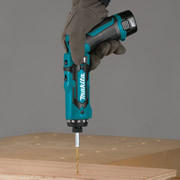 More than any other tool, drills need to be used with materials in-situ, often meaning you’ll be in hard to reach, inconvenient spots that would prove a chore with a corded tool. With cordless technology, there’s no problem. 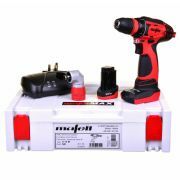 The different batteries available cover the majority of tradesmen’s needs, with 10.8v – 18v / 1.3Ah – 5.0Ah in the ITS range, carefully selected by our expert buying team. If you’re worried about what tool to buy for your needs, just give us a call and we’ll be sure to point you in the right direction – we’ve got all the tools you need all with next day delivery!